Ina is hosting our challenge today. 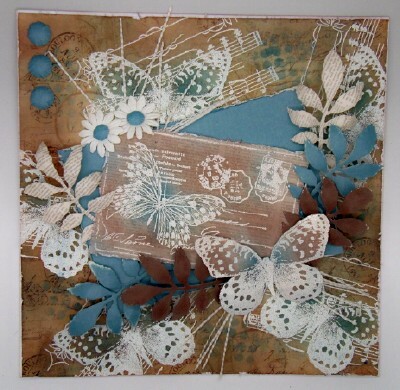 We would like to see your shabby chic/distressed creations. I have made this card for a special friend in soft colours using Dies Punches and various Shabby Chic embellishments. 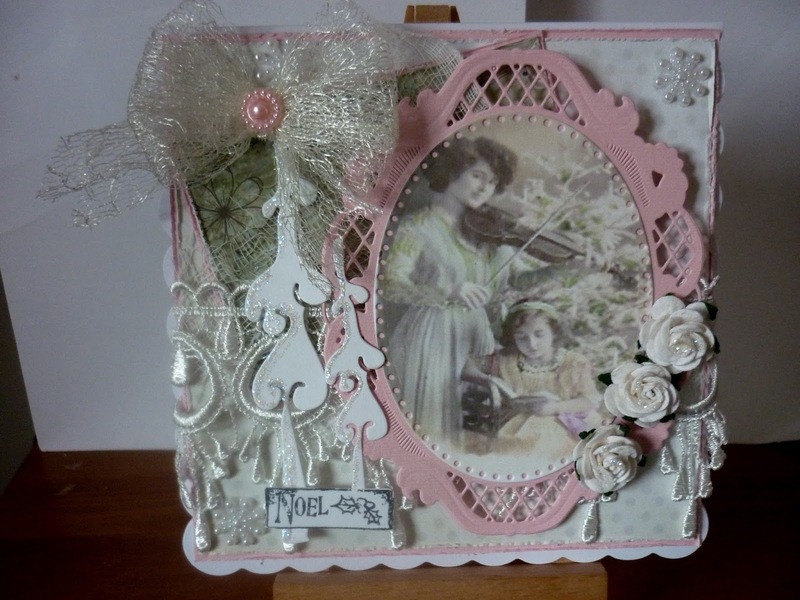 Josephine For this challenge, I used an image from a CDRom of vintage images and teamed it with ribbon, lace, flowers and some Coredinations card that I distressed. 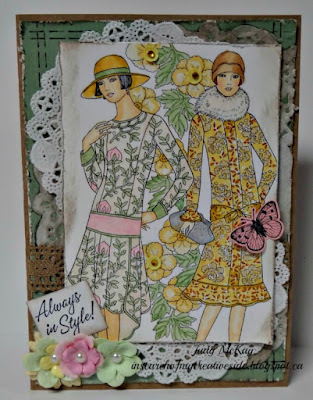 For this challenge I used these pretty vintage ladies from Dover Publications.The image was coloured with Copics and A Wink of Stella. 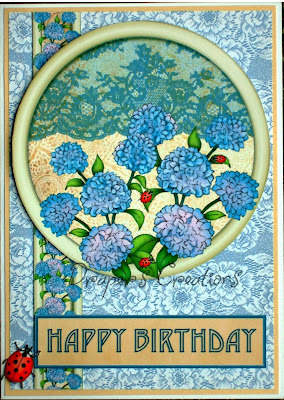 I added some papers I aged, doilies, stitch stamp, lace flowers, pearls, sequins, butterfly and a sentiment by Stampin Up. Made this with another of my Masterboards, Big and Juicy inks then crackle paste through a stencil. Mounted it onto pastel satin card and added the doily, flowers, sentiment and butterfly (Tim Holtz dies and stamps). Finished with a distressed ribbon and gems. 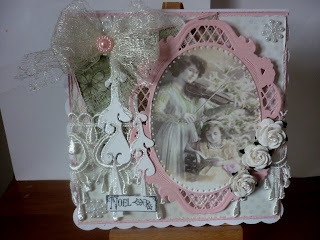 I used Debbi Moore's Shabby Chic Victorian Botanical CD ROM and paper from an old Joanna Sheen's paper pad. I have used a couple of Stampendous butterfly stamps for my card which was inspired by a trip to Pinterest, my favourite place for inspiration. I altered this bottle using a picture of my Grandma, Edith May Demmon, as a young girl. I used pearls, ribbon and a crystal charm. Pearls were added to the inside for a little something extra. 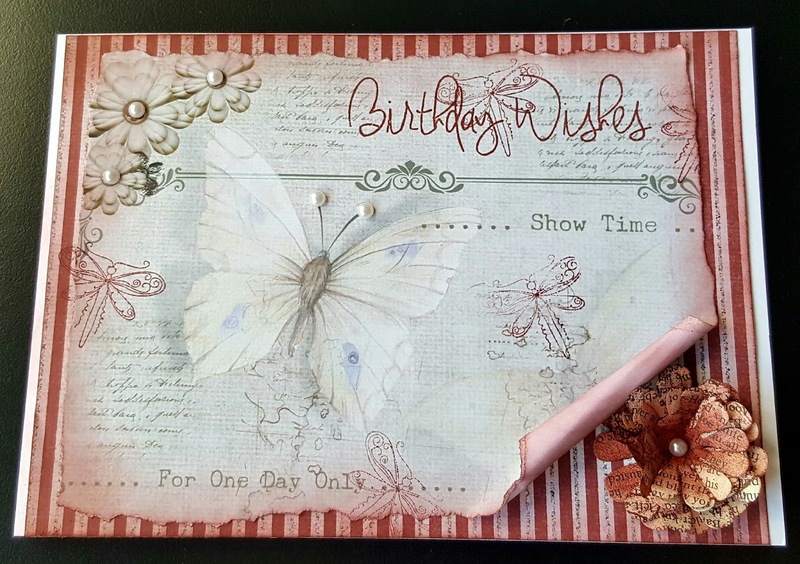 I have used this gorgeous range from My Minds Eye "My Story" and a wooden flourish heart from Kaisercraft. Distressed edges and some flowers to give it some shabby! 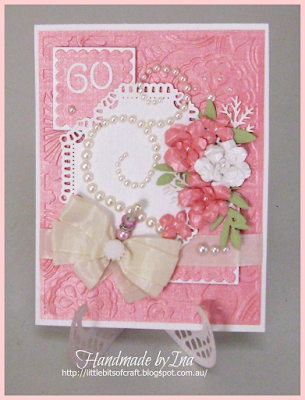 I have used some patterned papers, Kraft card, flowers, pearls and splatters of white paint to create my Shaaby Chic card. I have used a patterned paper from my stash for the background, and a topper sheet I made myself using serif. I distressed all the edges and added a flower made from old book pages.